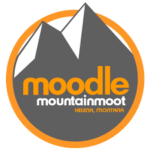 We are stoked to sponsor our first MoodleMoot! We can’t wait to meet fellow Moodlers and showcase our two apps. Come join us in Montana in July!